Located on the beautiful Il Faro which is a rocky bay which is quite popular amongst the locals for swimming and diving, Punta Carena Lighthouse is a privy to amazing views that are obstructed by nothing. The Punta Carena lighthouse is the second brightest in Italy (after Genoa) and one of the oldest, as it was first used in 1867. 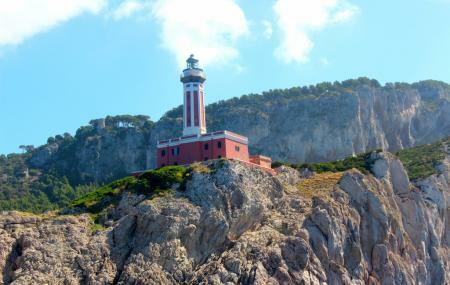 One of the best places on the island to see the sunset, this lighthouse offers a memorable view of the Tyrrhenian sea.